Looking for a straighter, more beautiful smile – invisibly? Would you like to achieve a beautiful straight smile, but you’d prefer not to compromise your appearance? This common goal has paved the way for Invisalign to become the preferred orthodontic method for adults in Lane Cove and Chatswood areas. Many adults suffering from misaligned teeth have been reluctant to undergo orthodontic treatment because of the unattractive look of old-fashioned metal braces. Thanks to Invisalign’s clear aligners, this is now no longer an issue. 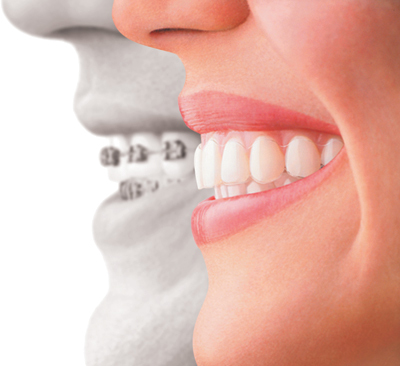 Invisalign is a series of custom-moulded aligners which are precision designed using a 3D computer imaging program. This lets our team exactly plan the progression of your procedure, before you begin treatment. Each set of aligners is replaced every few weeks with a new set, which will work to gradually move your teeth a little further. After each set of aligners has done its job, your teeth will have progressively moved into their ideal position, and you’ll have a smile you’ll be proud to display. Unlike traditional braces, Invisalign is easily removable, so you can eat all your favourite foods and brush and floss your teeth comfortably. And of course, because it is virtually invisible, other people won’t even notice that you are having treatment! What does my Invisalign treatment involve? As part of our premium Invisalign service, our practice is dedicated to ensuring your treatment progresses as planned. To do this, we ask that you visit our clinic about once every six weeks to allow us to check the alignment of your teeth. Your treatment time will depend on your personal situation, but usually takes around nine to 15 months. After we assess your dental health, our practitioners will be able to provide you with a more accurate timeframe. The Apple Dental team are delighted to provide Lane Cove and Chatswood patients with high-quality Invisalign solutions, to help you achieve a straight smile while keeping your teeth natural-looking. Contact us to schedule a consultation. Practically invisible – with these virtually invisible ‘braces’, noone will even notice you’re having orthodontic treatment. It makes Invisalign a seamless fit with your social and professional lifestyle. Removable – unlike fixed metal braces, with Invisalign you can eat and drink what you want, by simply removing your aligners. It also makes brushing and flossing easy, so you can have fresh breath and good oral hygiene right throughout your treatment. Comfortable – with no metal brackets or wires, Invisalign causes less irritation to your mouth, and usually needs less time spent in our Apple Dental practice for adjustments. 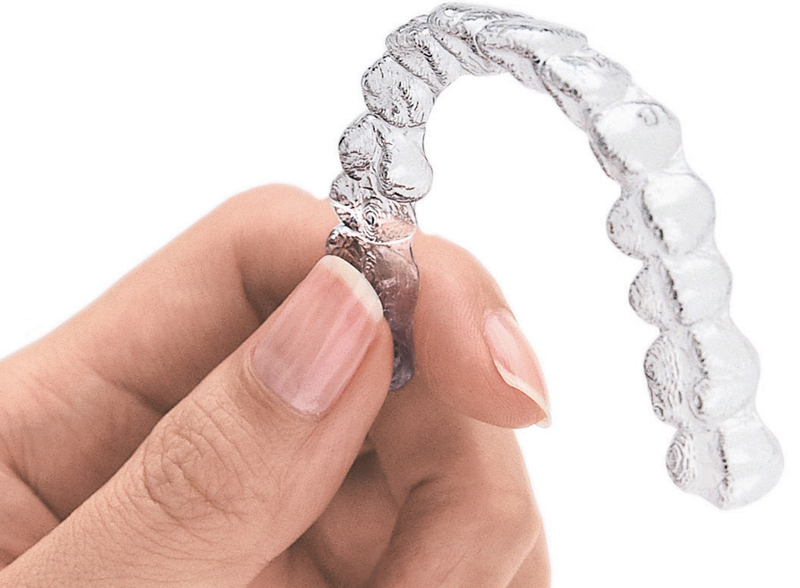 Predictable – with Invisalign we can show you virtual results before your treatment even begins. This lets you see how your straight teeth will look once your treatment is complete. Generally speaking, your Invisalign treatment will take only twelve to fourteen months to move your teeth into their new ideal position. Your exact length of treatment will depend on your individual situation as discussed with the Apple Dental team; but on average you can expect to spend about four months less time having treatment than you would with traditional braces. Are there any dental situations Invisalign cannot improve? While Invisalign has been shown to be able to correct a wide range of dental problems, there are some conditions which may call for an alternative solution. For example, if you have many missing teeth, or a severe over- or under-bite, Invisalign may not be the right answer for you. Naturally, the Apple Dental team will advise you on the best procedure for your needs. Compared to traditional metal braces, having your teeth straightened with Invisalign is a much more comfortable process. You may feel some slight discomfort to begin with, and for a few days each time you receive a new set of aligners. However, this is just a small sign that your teeth are actually responding to your Invisalign treatment, and slowly moving into the position your Apple Dental dentist has determined for them. 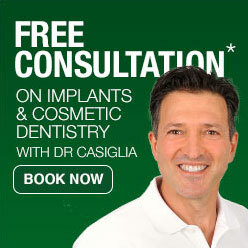 Apple Dental is the name you can trust for high-quality Invisalign in Lane Cove. Our excellent solutions will help you achieve a straight smile while keeping your teeth natural-looking. Give us a call on (02) 9420 5050 to schedule a consultation, or visit us at 1 Finlayson St Lane Cove NSW 2066.